Brenda Stutler received her Bachelor of Arts in Psychology from the University of Central Florida and a Master of Science in Counseling Psychology from Palm Beach Atlantic University. She believes that the foundation for effective counseling begins with the connection between the counselor and the client. A strong therapeutic relationship is underpinning for the theories and techniques to be effective and long lasting. Ms. Stutler’s training in Grief Counseling and Accelerated Resolution Therapy (ART) are best suited to work with grief, loss, PTSD, depression and anxiety. Clients can expect acceptance, openness, encouragement and accountability when working with her. There is a tripod of experiences in her life that grounds her. First, there is nothing more important to her than her faith. Secondly, she was raised in the Midwest, on a working farm; and, third, she had been married for over 30 years before her husband unexpectedly died eight years ago. From these pivotal experiences, she has learned about life’s patterns, seasons, patience, resilience, perseverance, integrity and the strong connection between action and consequences (good and bad). She brings those pieces into the counseling experience with the expectation that she can discover the client’s next steps. 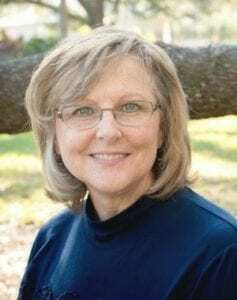 Other events that have added to her background of experiences include having an internship at the Chaplain’s office at Florida Hospital, serving on the Board of Directors of LifeLine of Central Florida and volunteering at her local church at various times over the past 35 years as a leader, teacher, speaker, and governing board member.